What Season is Best to Tie the Knot? Every season is unique and each will always be a wonderful time of the year for different celebrations. If you are planning to get married, choosing the date or the season would be your first important task. When it comes to weddings, everything simply has to be perfect, from the time of the year, to the theme and even the arrangements. This once in a lifetime celebration often entails a long preparation with a goal of having everything in their proper place. Some people decide to get married during summer season and would want to have it on the beach. Others on the other hand, prefer to tie the knot during autumn as they find it more romantic to be near with nature. 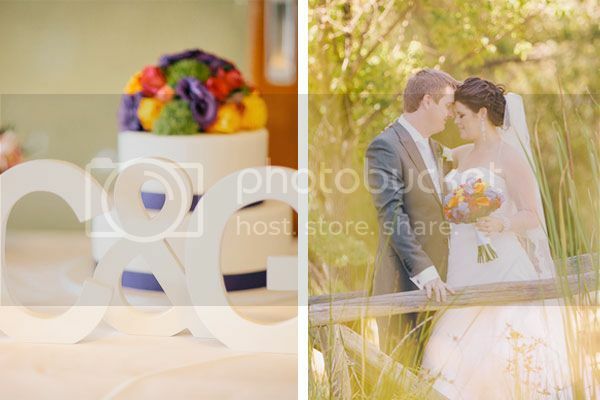 Having the best time or season for a wedding is essential as it can make the whole event more memorable. It will determine the "happy ever-after" ending. If you love soft and pastel colors, flowers, and romance spring season would be best. Imagine yourself wearing an ivory lace gown while carrying a beautiful bouquet of dainty posy of lilies of the valley or pink peonies. Then your bridesmaids are wearing pale blue or pink dresses with pink pomanders and pearl jewelry. Then you have your exchanged of vows in a garden or have your reception in the afternoon in a tent. If this is how you imagine your wedding would be like, then you will be great as a spring bride. If your goal is to make your wedding fun, summer wedding would be fantastic. You can have a festive motif such as a fiesta or beach theme. You can have exuberant colors for your decorations like orange and fuchsia. You can exchange your vows under a ceiling with hanging colorful lanterns or have it in by the ocean. Imagine yourself in a white chiffon wedding gown while carrying a bouquet of flowers. Your bridesmaids then are wearing fuchsia or turquoise strapless dresses with beach-themed jewelry. You can also have a cheerful preppy wedding theme that is complete with green and pink hydrangea centerpieces and seersucker suits for the gentlemen. If these things appeal most to you, then you can have your wedding on summer season. If you are a rich-color, rustic elegance, and crisp day lover, then autumn would be the best time for your celebration. Imagine letting the night pass by while you dance at a rustic barn-themed wedding, with string white lights straight from the ceiling, and hay bales scattered in the place. Then you have baskets of mums in different shades like russet, goldenrod, and orange for your centerpieces or for your wedding aisle. You can embrace this season preserved fall leaves scattered during the ceremony. To have a cozy, warm, and an inviting wedding celebration, have it on autumn season. Weddings in winter are often elegant and icy, and filled with glamorous and sparkling details. Now, imagine yourself walking down the aisle wearing an embroidered satin wedding gown with your white fur shrug and carrying a bouquet of red beautiful roses. For your bridesmaids, they are wearing cranberry satin dresses sparkling in bridal jewelry. The silver snowflakes will adorn your wedding cake, while the white birch branches which are draped with orchids and crystals will grace your tables. Each season has a lot to offer to make the celebration the biggest, the grandest and the most special. Choosing the perfect time is more of a personal choice from the couple, but one thing is for sure, whichever season you will choose will assure that your wedding day will be the best day of your life. Sheena is a full-time writer for Weddingstar, a company that manufactures and sells wedding decorations, cake toppers, party favors and other dashing accessories to make wedding programs perfect. According to her, as a writer you should need to be resourceful and creative to write a very interesting article that will definitely catch the attention of many readers. She writes from her heart which is why she gained avid readers and why she one successful writer. With skills and good attitude, many believed she will go far. SheenaBuhler is author at LeraBlog. The author's views are entirely his/her own and may not reflect the views and opinions of LeraBlog staff. Flirting Fears: Are They Reasonable?